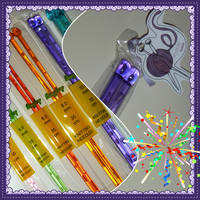 KnitUK knitting needles. Choose from brands such as Milward, Regia, Brittany, KnitPro, Pony and KnitUK knitting needle Sets for good prices at our website. 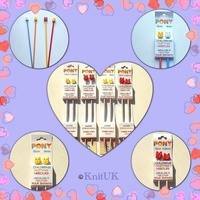 Single Point Knitting Needles in several sizes at different lengths and in a variety of materials are available for affordable prices at KnitUK webshop. Well-known Brands such as Milward and Regia by Coats Crafts UK, Pony, KnitPro, Brittany and KnitUK knitting needle sets are the best choice. 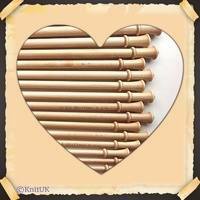 You can have the exclusive KnitUK 10" Bamboo Single Point Knitting Needle Set of 20 sizes excellent for knitting accessories and baby knitting at the best price on this site!